This review is more a field test than a hard-core technical review, there are other websites that will do that much better than here. This review is based on personal experience, having owned the lens for more than two years. Sigma 35mm 1.4 DG HSM Art !! 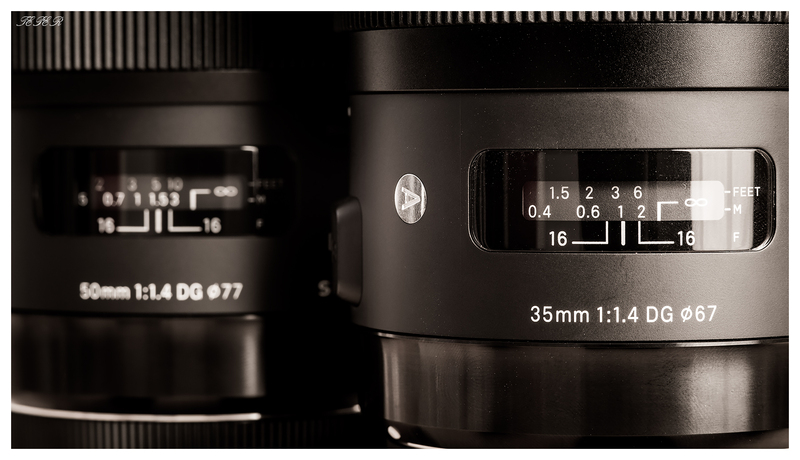 As part of the Global Vision program, the lens features vastly improved build quality compared to older sigma lenses. The old crinkle finish is no more, and instead you get a beautiful sleek matte black finish. Much of the lens body is metal, and it feels very solid. The focus ring is wide and nicely rubberised. It’s well dampened too. The lens is highly detailed, and the fit and finish is excellent. The lens is highly detailed, and the fit and finish is excellent. The lens does not change size when focusing, and obviously the 67mm filter thread does not rotate. The lens comes with a new pinch style front cap, rear cap and snug fitting plastic lens hood. The front cap is excellent, easy to put on and off. After two years of use, mine still looks new. The lens is tough and the finish durable. The only problem I’ve found is that the filter thread is plastic, and does not start at the extreme edge of the barrel, but perhaps half a millimetre inside. This means that some filters / step rings can be a bit hard to get started. This lens really delivers! Most reviews posted online will say that the 35mm Art is on par or better than the legendary canon 35mm 1.4L. I cannot compare the two directly but the copy I have is very sharp wide open, and I mostly use it at large apertures. The images produced are very sharp and punchy. The lens comes into its own in available light. As the lens is f1.4, you rarely need more than iso 1600, even in the worst of lighting. On a FF body like the 5D Mark III that I use, iso 1600 is very manageable. This results in stunning low light photos with great pop. The images produced are very sharp and punchy. The Sigma 35mm 1.4 Art is great for available light. Shot at f1.4 iso 3200. The lens focal length lends itself well to environmental portraits, but it can be used for anything from landscapes to detail shots. The 35mm 1.4 Art has awesome looking soft creamy bokeh. The ability to pop out the subject and thereby directing the viewer’s attention is one of the things which really draws me to this lens. Being a wide angle lens, you have to be relatively close to your subject for max bokeh time. The Sigma 35mm 1.4 Art produces very crisp, punchy images. Shot at f1.4. The minimum focus distance is 0.3m, and this is pretty close making it good for bokeh rich detail shots. The HSM drive in the lens is comparable to canons USM. Focus is quick and silent. I find the focus accurate and reliable most of the time, but it can miss occasionally. Focusing in low light is very good, I have not had any problems with the focus searching or refusing to lock. It appears that the Global Vision strategy has worked wonders. I’ve used several older Sigma lenses, and the new Art lenses are head and shoulders above these. Indeed I think the sigma 35mm 1.4 Art is as good as many Canon L lenses I’ve used. The mechanical quality leaves little to be desired, and the fit and finish would look more at home on a Carl Zeiss lens. After more than two years of solid use, my copy is still flawless, no signs for wear at all. The optics however are what truly make this lens special. The autofocus system is very good, and reliable for most of the time, but as mentioned, it can miss at times, this is probably the biggest let down with this lens. The optics however are what truly make this lens special. The optics give you the ability to get nice sharp pictures wide open, and almost any light. Good alternatives to this lens would be the more expensive Canon 35mm 1.4L, the slightly cheaper 35mm f2 IS and for anyone using a crop sensor, the Sigma 30mm 1.4 DC Art. In the end anyone looking for a fast 35mm lens should consider the Sigma 35mm 1.4 Art, especially as it’s a 35L for $600 less. Buy me a coffee! I can only take great photos and produce all this awesome content when I am fueled up on coffee. Thanks a lot Jennifer! Enjoy the lens, it’s a gem.